South Korea's football governing body said Tuesday it has filed a complaint against the Asian Football Confederation for playing the North Korean national anthem ahead of its national youth football team match. The Korea Football Association said that the national anthem of North Korea was played ahead of the match between South Korea and Jordan at the 2018 AFC U-19 Championship in Bekasi, Indonesia, on Monday. 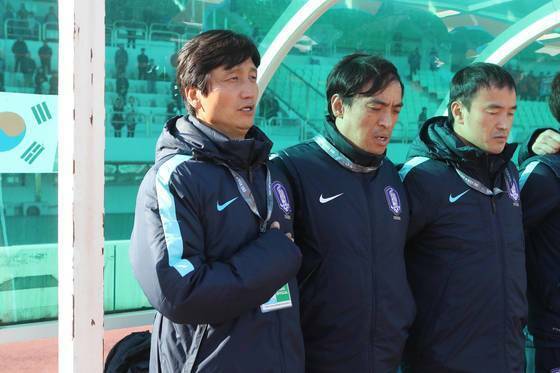 South Korean coaching staff and team officials then complained to the tournament organizers for playing the wrong anthem. The South Korean national anthem was played later. Under the tournament rule, complaints should be submitted in writing to the match commissioner less than two hours after completing the match. The KFA said it filed a complaint to the match commissioner, but for a formal protest, it will send an official compliant letter to the AFC headquarters later Tuesday.